Serving as a national model for excellence and collaboration, the Radiology and Medical Imaging programs at the University of Virginia School of Medicine are considered some of the top educational programs in the country. Numerous faculty members are nationally and internationally known as leading authorities in their area of specialty, with widely recognized contributions to trainee education, clinical care, and cutting edge imaging research. We provide excellence and innovation in the care of patients, the training of health professionals, and the creation and sharing of health knowledge. Residents, fellows, and medical students gain clinical experience at the nationally-ranked University Medical Center, a 604-bed medical and surgical facility, outpatient clinics, a transitional care facility, affiliated hospitals and clinics, and the NCI-designated Emily Couric Clinical Cancer Center. The Radiology and Medical Imaging Department is organized into the Divisions of Body Imaging, Breast Imaging, Diagnostic and Interventional Neuroradiology, Musculoskeletal Imaging, Noninvasive Cardiovascular Imaging, Nuclear Medicine, Pediatric Imaging, Vascular and Interventional Radiology, and Medical Imaging Research. 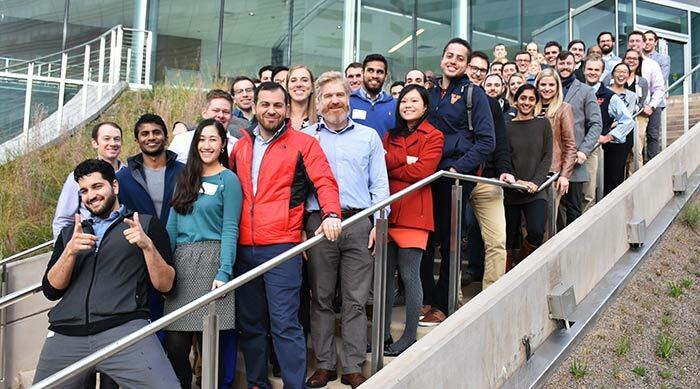 Currently on staff are 53 full-time clinical faculty and 13 research faculty, all of whom are dedicated to educating and mentoring the next generation of top performing radiologists and medical students. On average, the Radiology and Medical Imaging Department has 40 residents and 25 fellows and instructors on staff. Our residency training programs in Diagnostic Radiology and Interventional Radiology are considered to be two of the best in the nation and admission to the programs are highly competitive for the resident positions offered each year. Fellowships are available in 7 radiology and imaging subspecialties. Our 4th year medical student elective in Diagnostic Radiology is the most popular elective in the School of Medicine. We are a dynamic and growing Department with committed faculty, outstanding residents and fellows, highly skilled technical and administrative staff, and state-of-the art equipment. We take great pride in achieving excellence in clinical care, teaching, and research.